Resort Ras Al Hadd Holiday Hotel where Turtles welcome you. Ras Al Jinz Turtle Reserve is truly a unique destination. Earlier established to help monitor the fascinating and amazing nesting processes of these aunts of the marine turtle world, it now hosts numerous visitors form different countries realising their wishes to witness a once in a lifetime experience. 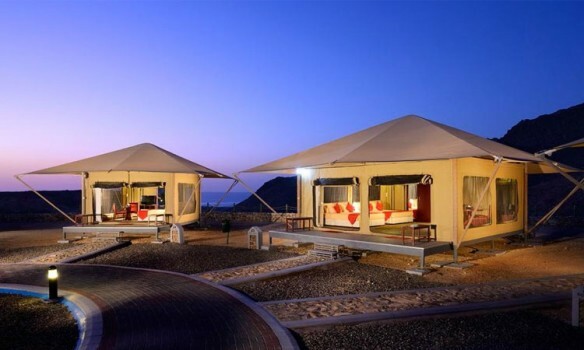 Total accommodation is 31 units including Carapace rooms and the luxury Eco-tents. 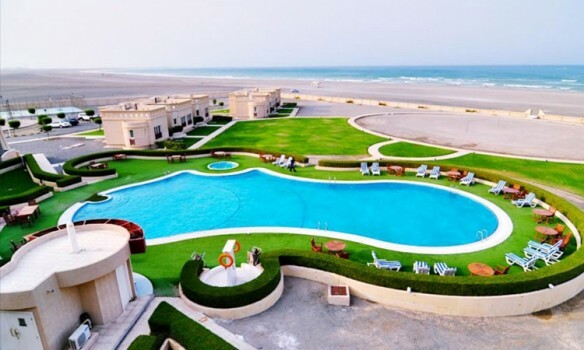 Ras Al Jinz Turtle Reserve rates are all inclusive of buffet breakfast, turtle viewing (evening and dawn) entry to the Turtle Reserve Visitor Centre (Museum) and tax and service charge. Please note that rates may vary depending upon the season and day of the week. Masira, is Oman`s largest Island and located 15 kilometres off the south-east coast of Oman. The Masira Island Resort represents a combination of luxury and magnificent landscape, woven together creating a harmonious environment and memorable scenes. Known for its wildlife and miles of isolated sandy beaches, it hosts all four of Oman`s nesting species of Turtles and is world famous as the home of the largest population of Loggerhead Turtles. The island is magnificently diverse and offers a wide range of nautical sports with excursions into the nearby deserts and hills. At Masira Island Resort, you can leave the rest of the world behind while still having everything at your finger tips. 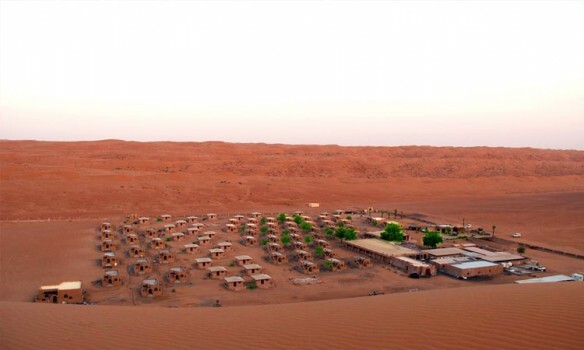 In the heart of the golden sands of Sharqiyah Desert nestled among stunning and ever changing patterns of dunes is the Arabian Oryx Camp offering a luxurious Bedouin style accommodation that confines of the private Bathroom, a myriad of free high-end Toiletries are at the guests’ disposal. The sitting of the camp in the wilderness of the desert emphasize the beauty of the virgin golden sand dunes surrounding it. 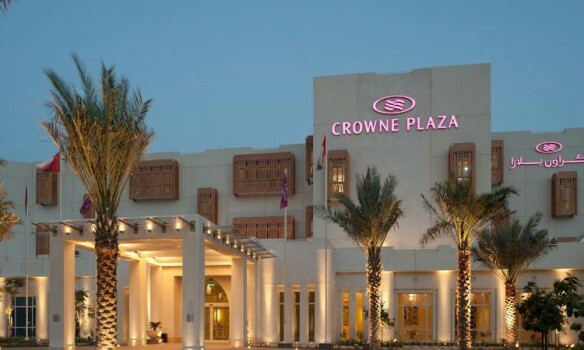 You will be welcome with warmth and kindness of Omani Hospitality. The delicious Arabic Cuisine splendor & attentive service along with live entertainment and Camp Fire under the roof of starry skies you will have ever charming experience once in a life time.